If you need a fast solution. For some operations, a fast access shall be enabled. However, this should not be done with brute force but as inconspicuously as possible. For this purpose, with our PKI 9610, we have assorted an optimum set for non-destructive opening of doors and windows. Whether door trap opener, lever opening tool, tilting window opener or door and window lifting tools, wedges, lifting bags, etc. This set almost always enables fast and unobtrusive access. 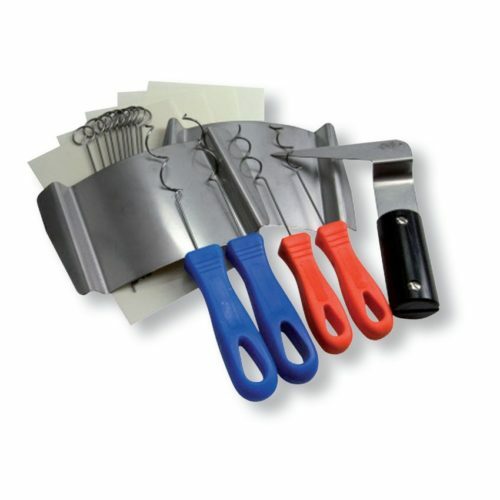 With these tools, unlocked doors are opened unobtrusively in seconds without being destroyed. The same applies to side-hung/tilting windows which, if unlocked, do not present an obstacle within seconds any longer. Complete set in a rugged carrying case. Whether in a hotel room, apartment door, windows made of wood, synthetic materials or metal. If these are unlocked, our tools will provide you an unobtrusive access. We are offering training courses for this non-destructive opening in our premises, and not only for doors.